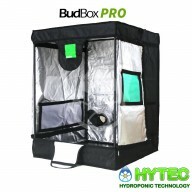 The success of indoor cultivation is based upon a simple principle: reproducing the conditions of the outdoors indoors. 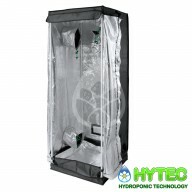 The benefit of using grow tents as part of hydroponics is that the cultivator has precise control of the parameters needed for a plant to develop, reproduce, fruit and flower; without the need for significant construction and the threat of external influences (such as weather and pests). 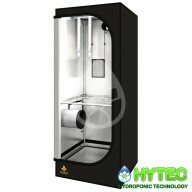 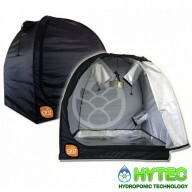 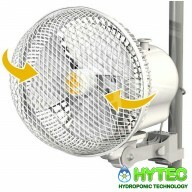 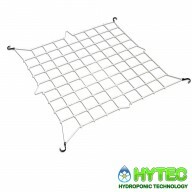 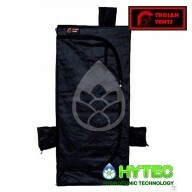 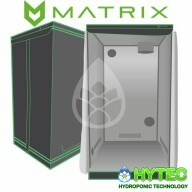 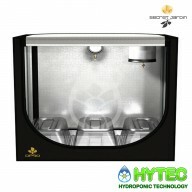 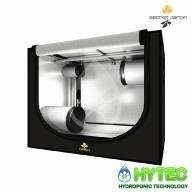 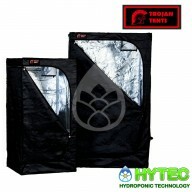 All of the grow tents available from Hytec Hydroponics have been tried, tested and are trusted by hydroponic experts. 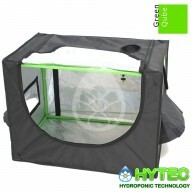 Our grow tents are covered in durable and robust canvas, to be entirely hermetic to outside climatic conditions. 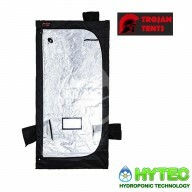 The interior of the tent is lined with highly reflective material, usually Mylar, but it can also be aluminium or the highly reflective white Orca covering. 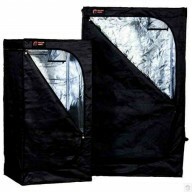 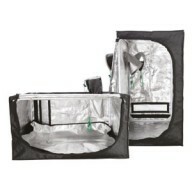 To view our range of Grow Tents, click on the sub-categories below. 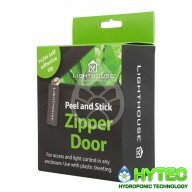 GrowTent spare plastic 4 way connector ..
LightHouse Zipper Door - 2m A peel and stick zipper system allowing easy access and light control for any enclosure. 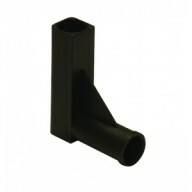 Comprises a high quality, easy install zip that creates easy access points into any enclosure using plastic sheeting. 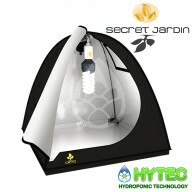 ..
LIGHTHOUSE LITE 0.6M² TENT - 0.6M X 0.6M X 1.7M LightHouse LITE is the budget tent for the grower who want no frills. 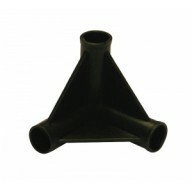 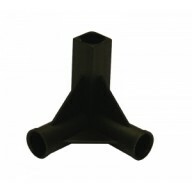 It offers a simple and lightweight frame that incorporates nylon corners but still has multiple choices of ducting and cable glands all with double seals. 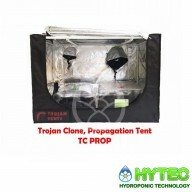 The main frame is made f..